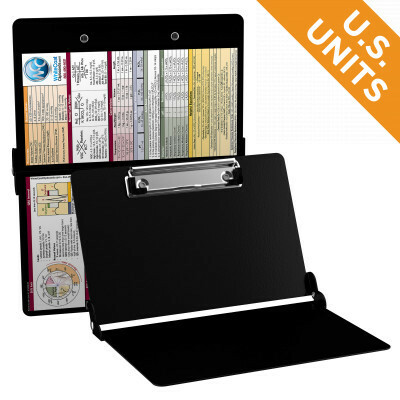 WhiteCoat Clipboard’s full sized folding medical clipboard is perfect for students and residents alike! 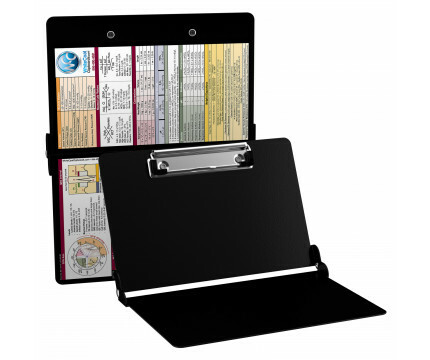 Its unique hinged design allows for the clipboard to be folded in half for convenient pocket storage and contains the most daily referenced medical information. 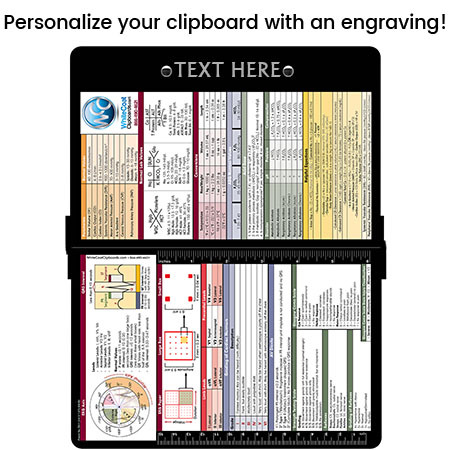 WhiteCoat Clipboards are used by physicians, interns, residents, nurses, or any healthcare professional needing a solid writing surface and the ability to conceal documents (HIPAA compliant). 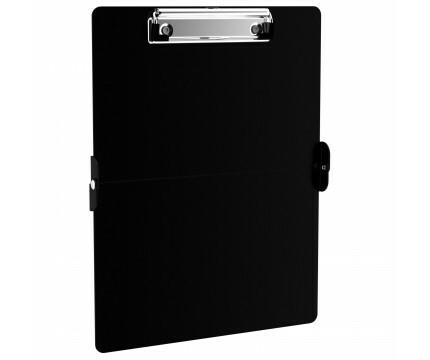 This clipboard can carry up to 30 pieces of paper without creasing your documents but stays lightweigth with its sleek aluminum design. 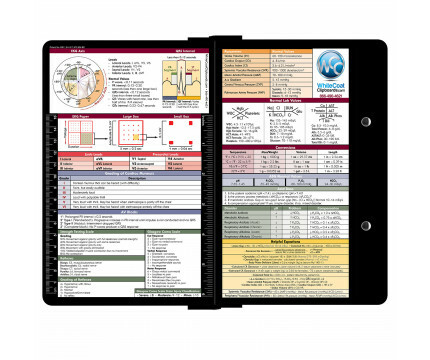 Hover over the above images to see detailed views of the medical information contained on this clipboard. 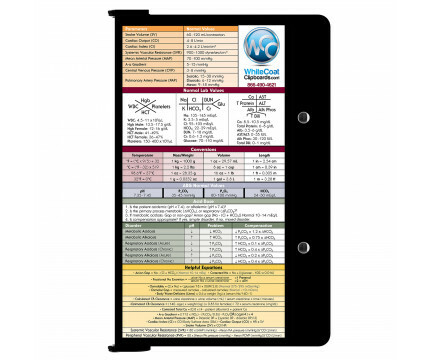 Our lightweight aluminum construction won’t weigh you down!